Recently Dan Brown announced that he would be re-releasing his 2003 bestseller, The Da Vinci Code, but this time it would be adapted for a young adult audience. This unleashed a maelstrom of nasty comments on Twitter and elsewhere, not only bashing Brown for insinuating that his book needed to be dumbed down for YA readers, but also for his writing in general. His research is faulty and/or thrown out the window when it doesn't fit in to his plot. Don't ever take something you read in one of his books and talk about it as a fact without looking it up first yourself. He presents fiction as if it was fact. Many are led to believe a lot of what is written in his books, even if he has really made it all up on the spot. As someone who actually really enjoyed Dan Brown's books back when I read them, I was honestly a little thrown off by finding out people don't like that Dan Brown's books aren't factual enough. Personally, I did not take everything in The Da Vinci Code as fact, although I will admit it sparked my curiosity and led me to do my own research afterward. The only time I expect my fiction to contain any factual information at all is when it is retelling some historical event, and honestly I don't even take it all at face value then. Historical locations may be tweaked to fit a story or a prominent historical figure's character might be fictionalized (like Hitler in Prisoner of Night and Fog). I often read books where fact is interwoven with fiction and I've never found this to be too off-putting. I tried to think of times when I was irritated by finding information that was not factual in a book. I realized what bothers me more than anything else is when scientific information is incorrect. For example, two days ago I posted a review of Across the Universe, where I found a few details to be too much to overlook. One was that a cryogenically frozen character was aware of her surroundings for 300 years. The other was that a ship slowed down in space because its engine was failing. These things bothered me more than a detail about the opening date of a church in Istanbul ever would. I also realize that there may be other inaccuracies that would really bother me if I were to come across them though. For example, I once read a book about Disney World and the author had mentioned Sleeping Beauty Castle. I actually wrote to the author to let him know it was actually Cinderella Castle at Disney World (Sleeping Beauty is at Disneyland). Luckily, he let me know it had already been corrected in a later edition. So... maybe the construction date of a historic landmark being wrong would irritate someone who was well versed in that area? Now I'm really wondering how my fellow readers feel about this topic! 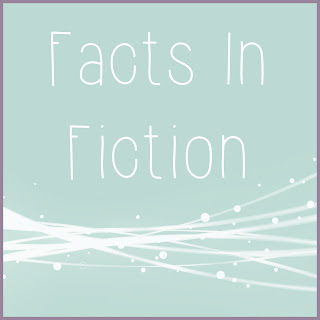 Knowing that what we're reading is fiction, how important is it to you that things be factual? Are there certain things that really bug you? Or is everything fair game in fiction? Let me know what you think in the comments!